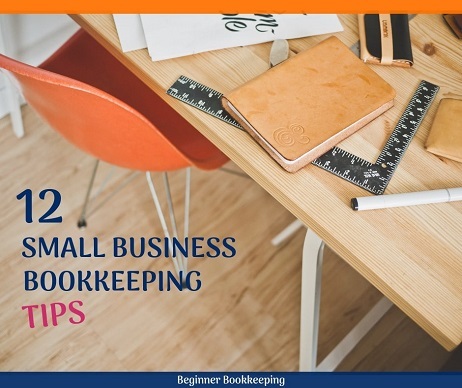 These small business bookkeeping tips will help you be successful with processing your day to day accounts and office management. 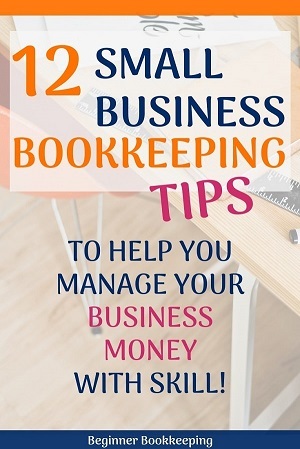 These tips show you how to do bookkeeping and will increase your ability and knowledge to operate your business with skill. All new business owners must make it a priority to open a new bank account for their business, preferably an account with online access, to keep business funds separate from personal funds. Processing transactions for your personal expenses within the bookkeeping of your business is a waste of precious time. … And they will have to be processed if they are mixed up with the business transactions. They have to be entered into the bookkeeping system and coded to drawings, taking up precious time that the bookkeeper could just spend entering business data. If you need to use business money for personal expenses, just do a bulk transfer to your personal account on a regular basis like once a week so that the bookkeeper isn't having to deal with a million small personal transactions and making you pay for their time. Also, open a business savings account and set aside money from your business earnings every month to pay your quarterly tax. Calculate a percentage (25-30%) of your Income and transfer it over before you spend it. Maybe do it the minute your customer pays you. Bank accounts with online accessibility is definitely the way to go now. It is quicker and easier to login online to make payments and keep up with the bank reconciliations in your bookkeeping software, than to wait for the bank to post a statement, or writing out checks/cheques to make payments. A sole trader or proprietor will most likely withdraw funds from the business account for personal use (drawings). This can be done in place of paying themselves a salary (but check with your Accountant first). A good practice is to transfer one amount on a regular basis, such as once a week, from the business account into the personal account. The personal account is then used to buy the groceries, books, toys etc. The business account can remain nice and tidy with only business transactions and the one regular drawing amount. This will also avoid the temptation to allocate a private expense to the business. A business owner needs to know and recognize what type of expenses can be claimed against the profit to reduce tax, and what can’t be. An expense that is directly related to the operation of the business and towards producing income is usually tax deductible. An expense that is for the owner’s personal pleasure is not. Mixing personal and business does not mean a full claim for business can be made. This includes taking a client out for lunch or buying them gifts. 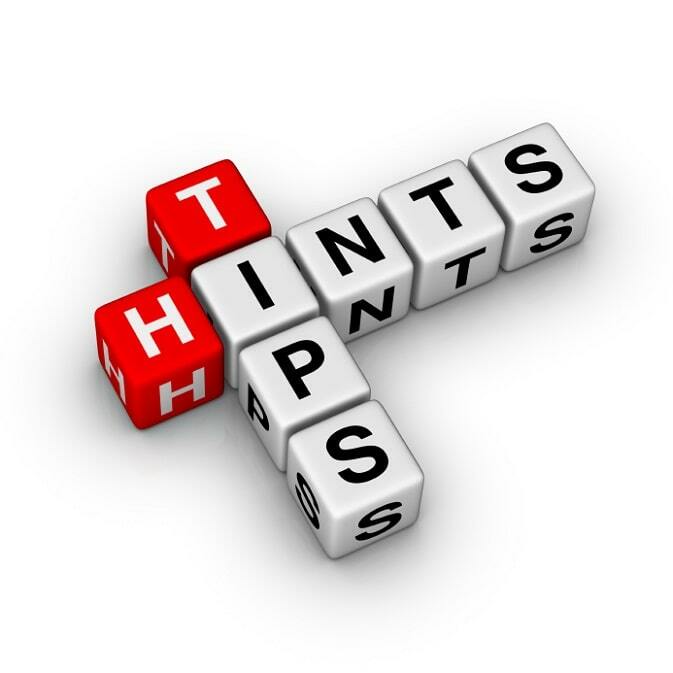 If in doubt about whether or not to claim an expense, contact your accountant or tax department. Sometimes the owner will use their personal funds for business purchases. These can and should be brought into the business bookkeeping system through bookkeeping journals so that all the expenses are being claimed thereby reducing the amount of tax to pay at the end of the year. Don't forget to let your bookkeeper know about these expenses and keep all the receipts and invoices for them. The type of bookkeeping software you get will depend on what you need out of it. At a bare minimum, you need a Cashbook. You can keep a Cashbook in Excel, or even in a school exercise book. Cashbook, Ledger, Bank Reconciliations, Accounts Receivable and Accounts Payable. Here is a comparison of popular bookkeeping software QuickBooks, Xero and Sage. There are some free bookkeeping software programs available if you are on a tight budget. I give a break-down here of the ones that are of excellent quality and are kept up-to-date. Some software options, such as FreshBooks, are specifically made for business owners who just want to focus on invoicing their customers and tracking expenses and who give access to the accounts to their professional bookkeeper or accountant to process the complicated accounting stuff every month. Note: Excel, or the free OpenOffice Spreadsheet, make good supporting programs for bookkeeping. Proof (to an auditor or tax man) of what occurred. Most tax departments require businesses to keep the documents that back up their tax claims for a minimum of 5 and often 7 years. These are documents such as invoices, receipts, wage records, etc. Search the internet for your local tax department website and type in something like ‘how long to keep records’. The only way to keep the records is to have a very well-organised filing and archiving system. A box or basket full of randomly placed papers makes it much harder to locate what is needed, and will cause an unnecessary waste of time not to mention frustration. Any cash received should be paid into the business bank account or petty cash before spending it. It can be tempting to take the cash right away to purchase supplies but this might cause a mess in the bookkeeping system. Forget which customer paid the money which can lead to some embarrassment if the customer is phoned some weeks later for payment... and they have already paid! It could also appear as tax evasion because the income is not being declared in the system. Forget to include the purchase in the books - these expenses definitely need to be entered in to the accounts to help keep your taxes down! Being forgetful about the above will result in the bookkeeping system not reflecting a true record of what has occurred. It’s surprising how many business owners have no clue if what they are doing is working until it’s too late i.e. they suddenly find themselves with no money and huge debts. You can avoid this scenario by being pro-active about keeping your bookkeeping system up to date and producing reports at least once a month. Learn how to read and understand those reports. If you are going to own and run a business you can’t ignore this aspect. The two most important reports to start with are the Income Statement and the Balance Sheet. There is nothing worse than having a job done by someone, like a plumber, and then waiting for months for an invoice. Most conscientious people would like to get the bill paid. It is extremely annoying having to call up a supplier to ask where the bill is. This appears as dis-organisation to the customer, and from the plumber’s perspective can be detrimental to the business cash flow. As soon as a job is complete, or at least by month’s end, prepare and send out the customer invoices so that the income can start rolling in, thus keeping the bank balance healthy and enabling payments to suppliers to be made when due. The importance of invoicing customers in good time is a lifeline for the business because this is where the money is at. Keep at it and be organized about it! Of course, this does not apply if the business is operating on a cash basis without extending credit to the customers because the cash will be coming in at the time of sale. If you, the business owner, are also doubling as the office administrator/ bookkeeper and finding the bookkeeping too hard or don't have enough time to do it, then outsource the whole lot. Accuracy : You are getting that necessary professional work done on your accounts so you can be confident they are correct. It can take a professional bookkeeper 2 to 4 hours to process one month’s worth of bank transactions, finalize a bank reconciliation, and produce a set of reports. You can outsource as little or as much as you want done. Below is a list of the most common tasks that are a part of the bookkeeping process. You can ask a bookkeeping professional to carry out only one task or a combination of tasks whilst you or your employed office person does the others. Advise you on the actual state of your business finances and give you ideas on how to improve cash flow. 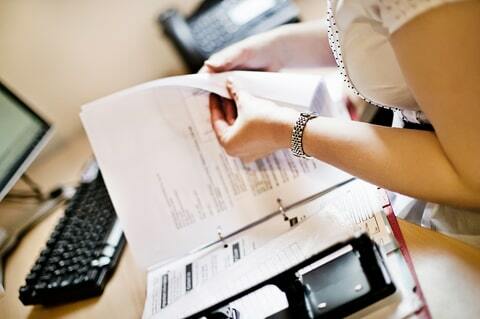 Are you a small business owner employing an office administrator to do the bookkeeping? Do you think they're great because everything they says about the books sounds just like they know what they're doing and at least you don’t have to? Reality check…. …just because your bookkeeper may know more than you about bookkeeping, doesn’t necessarily mean it’s being done right. You need to take an active interest in the financial aspects of your business. Don’t sit back and leave it all to the bookkeeper. It’s not fair to them and your business could end up in dire financial strife due to incompetence or fraud by the bookkeeper (it does happen). One person can reconcile the bills and statements and enter them into the system - another person can double check these details and set up the payments at the bank, and the third person (business owner) can approve the payments. One person can be in charge of receiving and issuing cash through the petty cash system, whilst another can do the month end reconciling of the cash box. If you employ people in your business make sure you do the responsible thing and pay their wages or salaries on time. Employees rely on being paid on time to eat and pay their bills. With each pay run, make sure you set aside savings to cover the payroll tax from the employee’s pay. This is not your money - it belongs to the government. Make sure you file your payroll returns on time and make the payments on time. Don’t ‘forget’ to do these things. Filing or paying late can incur fines for your business (a real waste of your business funds). You could try and do the payroll manually but there are plenty of reasonably priced payroll software programs, desktop or online, which makes the task quick and easy. Or outsource it to payroll professionals. There are many new software programs being introduced to help small businesses do better, work faster, be more efficient, and improve the bottom line and so on. They are fantastic aids for streamlining business processes and the developers work really hard to have them working just right …. …. but implementing too many new systems close together can be really overwhelming for employees and exhausting for the business owner/manager. The owner or manager needs to consider carefully whether a particular system is worthwhile introducing without ending up swamping the employees with a lot of extra and distracting tasks – distracting in that they might eat into the important time necessary for actually doing the work that produces income for the business. It takes people time to learn new systems and form a habit in completing the tasks related to those systems. People can carry out habits without thinking but new tasks require a lot of thought which slows down the income producing work and causes stress if the Manager is impatient expecting the employee to ‘get it’ immediately. Introduce one new system at a time and give the employees time to learn them and get into the habit of completing them easily, before introducing the next one. Be prepared for some down time in production whilst employees are learning the new systems – make sure you include this in your budget. 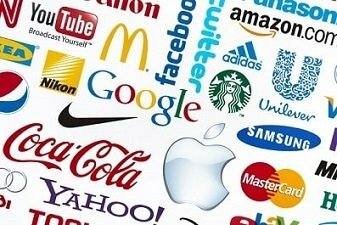 You will need a logo to put on your sales invoices, business cards, brochures, website. You don’t have to go all out and pay hundreds of dollars for this. There are many online businesses that offer logo designs at very reasonable prices (try Fiverr to start with). If you have some designing skills you can use Canva to design your own logo. If you don't want to use Canva, you can design a logo in one of the Microsoft products such as Word. Once you’ve got a design you are happy with you need to save it as an image (such as JPEG or PNG). If you’ve done a logo in Word you can press Ctrl, Prnt Screen on your keyboard, this will place a copy of your screen/logo onto the clipboard. Open up Paint (a free program that comes with Windows or you can download Paint.Net for Windows or Paintbrush for MAC.). Click on Paste which will place your screen shot into Paint. Edit the image to the size you want; you might have to reduce the amount of white space around your logo. Once happy with it, save as the jpeg or png image. You will then be able to import it into your sales invoices, website etc. Hint: it is better to design the logo large and then reduce it down if you have to fit it in a small space on an invoice. This is better than designing too small and then having to enlarge the image which causes loss of quality and blurriness.